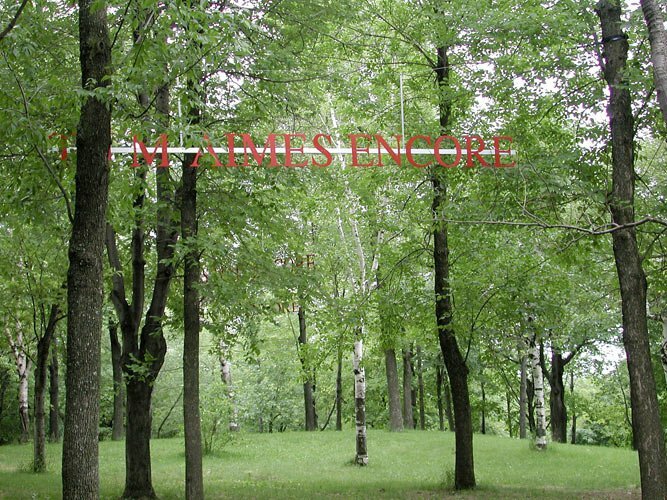 The installation consists of three sentences hanging between trees. The letters are red. 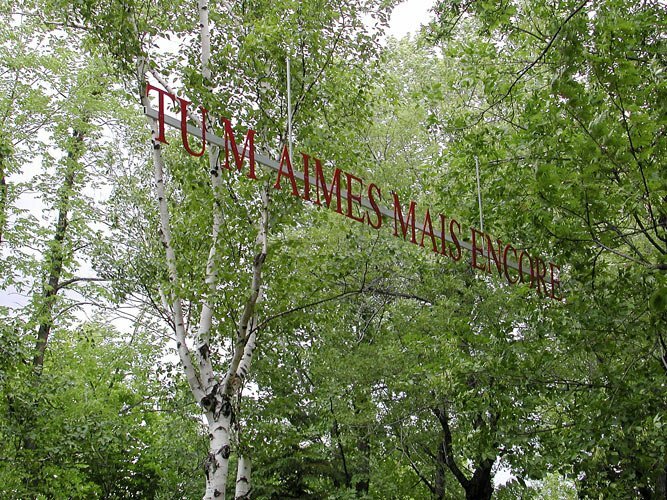 The thirteen artists participating in Artefact 2004 – Urban Sculpture are Monique Bertrand, Martin Boisseau, Ani Deschênes, Doyon-Rivest, André Du Bois, Lucie Duval, Raymond Gervais, Michel Goulet, Neva-Gotthilf, Daniel Olson, Yannick Pouliot, Alan Storey and Louise Viger. 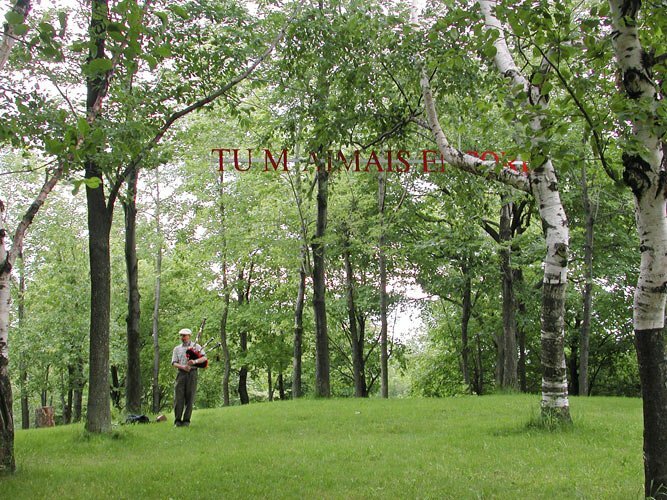 Their artworks were installed along the carriage road, Chemin Olmsted, between the Centre de la montagne — near the 1964 symposium — and the large chalet at the lookout. Some works were imposing, others more discreet but all were presented as imaginary places likely to appeal to visitors. Intervention on the Mont-Royal, at the Artefact 2004 event. Since the Summer 2010, the artwork is now permanently suspended above the bike path in the City of Eastman the owner.